Serve your ice cubes in a beautiful bucket that will also look good on your table. 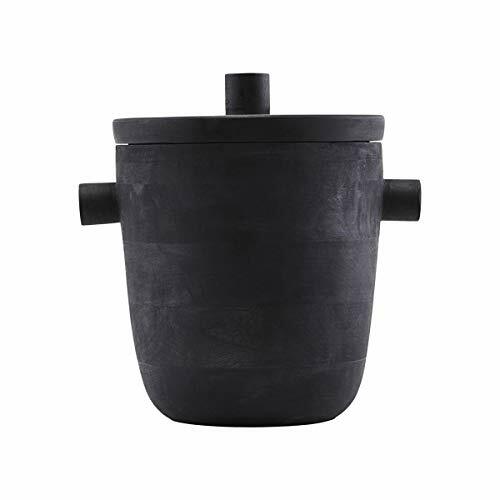 Ask from House Doctor is a beautiful ice bucket/wine cooler made of stainless steel and black mango wood. The black colour suits most homes, and it will also look good on a party table. Fill Ask with ice cubes when you are having guests over for a garden party, or use it as a wine cooler for a birthday or New Years Eve. The stainless steel ensures that the temperature stays the same. Dimensions: dia. : 20 cm, h.: 22 cm. If you have any questions about this product by Doctor in the House, contact us by completing and submitting the form below. If you are looking for a specif part number, please include it with your message.